Why See Belle And Sebastian? Scottish indie-folk outfit and critical darlings Belle and Sebastian are launching a new tour this summer, after the release of their new EP Trilogy, How To Solve Our Human Problems, earlier last year, the first stirrings from the group since 2015's Girls In Peacetime Want To Dance. Rarely on the road, don't miss your chance to catch their twinkling melodies and lyrics, underscored with a magnetic mix of whimsy and melancholy. 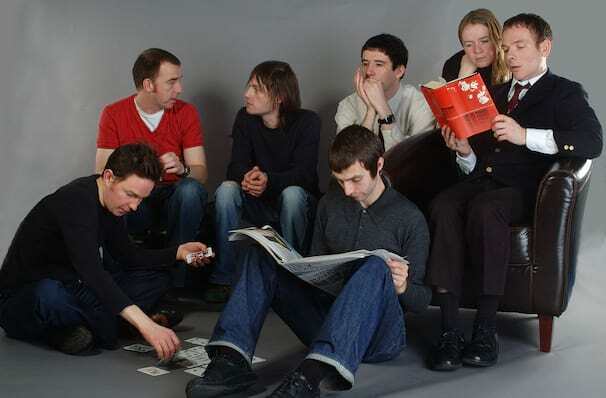 Formed in Glasgow in 1996, Belle and Sebastian have always been fine purveyors of beauty and biting honesty. Coming to mainstream attention with their 1998 album The Boy With The Arab Strap, they have steadily churned out acclaimed efforts ever since, becoming an icon of gentle indie coolness and creativity. Of the newest release, How To Solve Our Human Problem, lead singer Stuart Murdock summed up their appeal perfectly - 'A gentle summer storm, but as insistent as a river'. Seen Belle And Sebastian? Loved it? Hated it? Sound good to you? 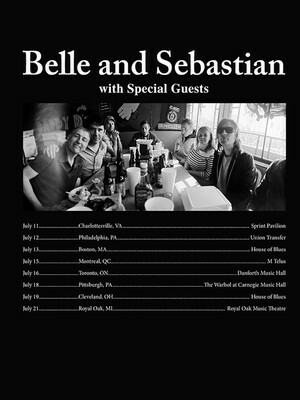 Share this page on social media and let your friends know about Belle And Sebastian at M Telus. Please note: All prices are listed in US Dollars (USD). The term M Telus and/or Belle And Sebastian as well as all associated graphics, logos, and/or other trademarks, tradenames or copyrights are the property of the M Telus and/or Belle And Sebastian and are used herein for factual descriptive purposes only. We are in no way associated with or authorized by the M Telus and/or Belle And Sebastian and neither that entity nor any of its affiliates have licensed or endorsed us to sell tickets, goods and or services in conjunction with their events.